Our transit partners at Metro are looking for input from different communities across LA County to ensure that its bus network meets the various needs and desires of those in our area. 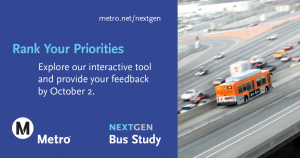 We encourage you to click on the link provided if you would like to participate in Metro’s NexGen Bus Study. It’s been 25 years since the Metro bus system has significantly been changed. So LA Metro is reimagining its bus system for the next generation. Help design a better ride, one that gets where you go, and helps LA County grow. Take a spin with the engagement tool, available until October 2, to weigh in with lively feedback choices. 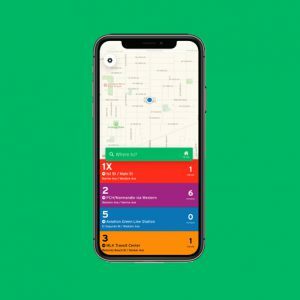 Visit https://nextgen.metroquest.com/ and be sure to participate! For more information, contact Robert Calix, Project Manager, at Nextgen@Metro.net.